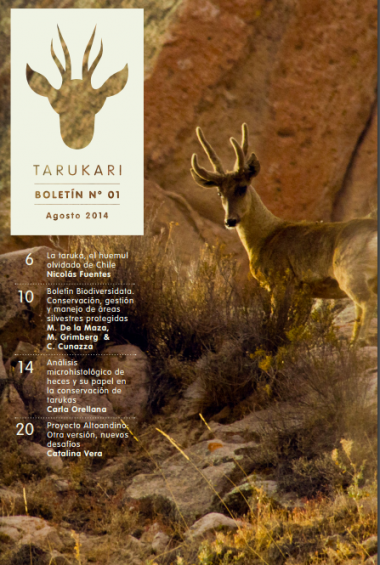 Tarukari Journal is a magazine about biodiversity and nature conservation in the area of study of TARUKARI NGO: chilean Andes. It is characterized by using a scientific divulgation, looking forward to reach readers both inside and outside the scientific field; having a strong and avant-grade identity in its editorial design; and the coexistence of texts togheter with high quality photos. 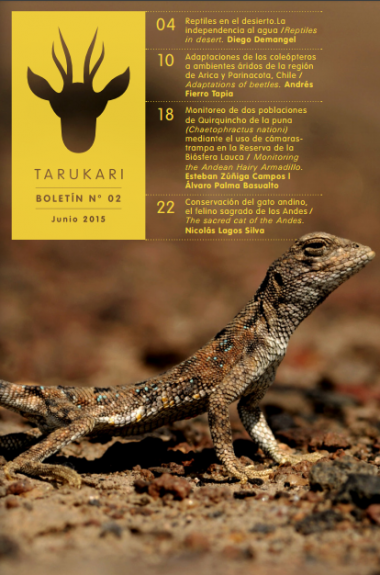 Tarukari Journal publishes original articles written by autors linked to our topic for various reasons, such as science, public and private management, art, and other activities. It has three issues published digitally on 2014, 2016 and 2016. They have been widely shared through TARUKARI’s virtual communication channels and also those of friend organizations. 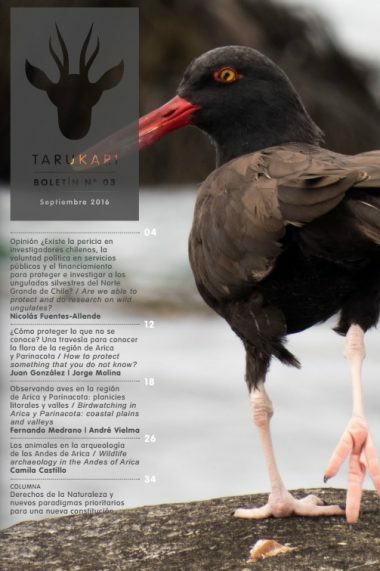 In year 2017 Tarukari Journal is in a growing process, moving to publish two issues a year, and expanding its readers by printing the issues and distributing them to various institutions through out Chile. Nicolás Fuentes-Allende. Regarding the knowledge of chilean researchers, the political will and the available funding: are we able to protect and do research on the wild ungulates of northern Chile? Carla Orellana. Is microhistological analysis of feces useful for tarukas conservation?